Over 70% of search engine users regularly search for images of products before buying them. I don’t remember the last time I bought anything without browsing through photos taken from every angle, as well as user-generated shots to show it in the real world. New “snap-and-shop” capabilities are now taking this one step further, allowing users to take photos of products they like and use those images to find similar offerings online. So we know images are critical for user engagement, but they are also a major factor in determining site performance as they account for over 60% of the weight of a typical e-commerce page. Page load times directly impact bounce rates, conversions, and revenue. This means any improvement in the size of images and the bandwidth consumed, can result in boosting the top line of an e-commerce business. So, what is Image Management? Image Management is a comprehensive solution that addresses the entire lifecycle of images in an e-commerce storefront, including optimizing storage, speed of delivery to end user devices, providing insights around images, and enabling automated tools to affect image-related changes. Image Optimization allows merchants to automatically change image dimensions, sizes, and formats to adapt to device type, screen resolution, browser type, and end user latency. The objective is to reduce bytes delivered, improve site speed, and dynamically deliver the best-suited image to every device, every time. Image Manipulation enhances the digital shopping experience and user engagement by enabling site administrators to apply customizations to product images on the fly, including zoom-in, logo, color changes, or text overlays. Evolution of web design: From text-laden pages and Flash-based pages that have made the web richer and more interactive, to websites that are customized for mobile devices and desktops, web design has changed significantly since the internet’s inception. 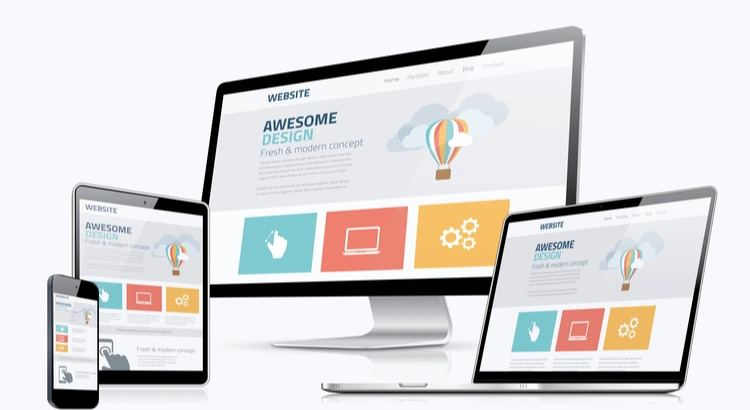 Today, websites use responsive web design (RWD), wherein a single website automatically adapts to the screen and resolution of the user’s device. This adds complexity in selecting the best suited images to be dynamically delivered to each device, after (automatically) identifying where the web request is coming from. Image management makes this simple. Device proliferation: Shoppers access e-commerce applications using a plethora of devices, including smartphones, smartwatches, and tablets. Online merchants need to deliver high quality images tailored to each of these devices for a great user experience. However, resizing and reformatting images for all possible device types, screen sizes, and resolutions can become exceedingly cumbersome, if done manually. Image management automates this process making it significantly faster and more efficient. Performance and SEO: Images have grown richer and bulkier over time, and as they account for over 60% of the weight of a typical e-commerce page, it’s easy to see how they affect site performance. Reducing image sizes and the bandwidth they consume will inevitably make an e-commerce site load faster. However, reducing image quality is a sure fire way to reduce user engagement – no one likes a shabby-looking storefront! Doing this work manually is challenging – more often than not, heavier images are used and performance is impacted. Image management automates this process, compressing images, and changing the format where necessary to achieve faster page loads without degrading quality. Improved performance also contributes to better search rankings (SEO), and therefore, higher site traffic. User experience: Image management makes it easier and faster to create and deliver new user experiences by enabling administrators to apply customizations to product images on the fly, including zoom-in, logo, color changes, or text overlays. For example, if an online retailer is selling a shirt in 20 different colors, image management provides an automated solution to change the color of a single master image versus uploading 20 different images. As a result, the retailer doesn’t need to manually capture and upload several versions of photos. Frequent updates: Online store owners make frequent, sometimes daily changes to their websites, experimenting with new design elements or performing A/B tests. Images are an integral part of these projects. Image management allows administrators to automatically try out different image options or sizes on a web page, and see what sticks best with end users. An image management solution also reduces complexity via a centralized application (like a CMS for images), allowing merchants to keep all their images in one place. Cost savings: By automating image optimization (resizing, reformatting, and compressing) and manipulation (adding logos, color changes, text overlays, etc.) tasks, image management can negate the need for a large, in-house team, significantly reducing employee costs. Image management also reduces storage costs by eliminating the need to store different variants of an image statically on the origin server. A single master image can be used to create multiple design options, sizes, and formats. Finally, by compressing and optimizing the delivery of images, bandwidth reduction contributes to cost savings as well. It is vital for e-commerce store owners to deliver a strong, crisp visual experience for their shoppers, and this cannot be accomplished without a robust image management strategy. If you’re looking to implement a comprehensive image management solution to boost your conversion metrics and stay ahead of competitors, schedule a demo with us by filling out this form or drop us an email at sales@webscalenetworks.com. Anand Hariharan is the Vice President of Products at Webscale. He is a product management, marketing, and business development leader with significant success in growing cloud-based businesses across different industries and geographies.